So it is being widely reported across the cricketing press corps. The blood between the two is so poisonous that Peter Moores may even be replaced in the next few days. This whole fracas is beginning to sound increasingly akin to salacious subcontinental skulduggery than a traditional and a proper British disagreement between two noble gentlemen. One can only assume that the flamboyant English captain has become quite adept in the ways of his pals in the media. 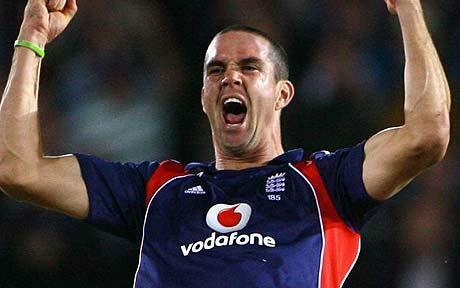 Various media outlets are reporting that Pietersen and even some senior players (does that term ring a bell?) in the England camp believe Graham Ford is currently the best coach in old country. What is it about the Poms and their love of South African coaches? Curiously though, Ford is believed not to be on the ECB's shorlist of replacement if the blue between Pietersen and Moores cannot be resolved. By drawing up this shortlist, the ECB has already conceded that the captain is more valuable the coach. Is the non-inclusion of Ford a deliberate action on the part of the ECB to ensure that Pietersen does not wield power disproportionate to his position? Moores' ouster would be an admission on the ECB's part that they got it horribly wrong after Duncan Fletcher was sacked. Would it not seem logical that the board then take the opportunity, especially with an upcoming opportunity to sink a boot or three into the appalling Aussies, to start with a blank canvas and appoint a man widely regarded as the finest in the land? Surely, the continued success of the team takes precedence over limiting the political power of one man? Maybe my contention is far too simple or maybe this is simply another example of short-sighted and inept administration.